We’ve planned seven distinct itineraries for you that begin in the cities of Madrid, Barcelona, Seville, Valencia, Santander and Bilbao and bring you to dozens of places where slow food dominates the menu and quality of life is taken for granted. 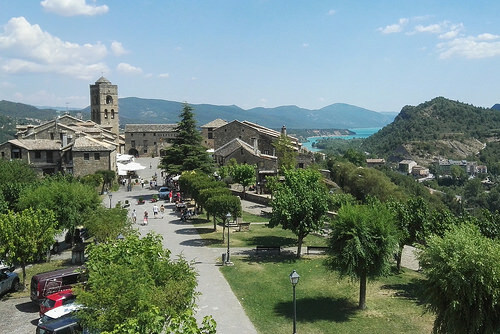 Almost all of the villages and towns we recommend are members of a network called The Most Beautiful Villages in the World – of which there are currently 68 member villages in Spain and all are perfect for Short Roadtrips in Spain. 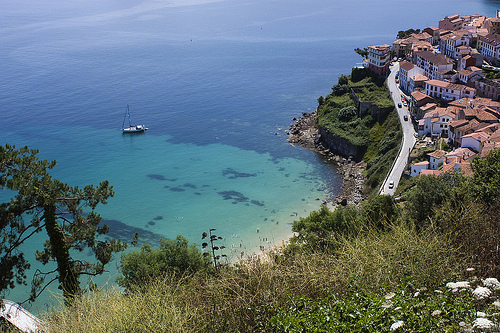 Want to experience life near Spain’s Mediterranean coastline? Fly into Valencia and drive 1 hour north to Vilafamés, (which is right beside Benicassim famous for its international music festival). Spend the night one hour north, in Peñíscola on the coast. 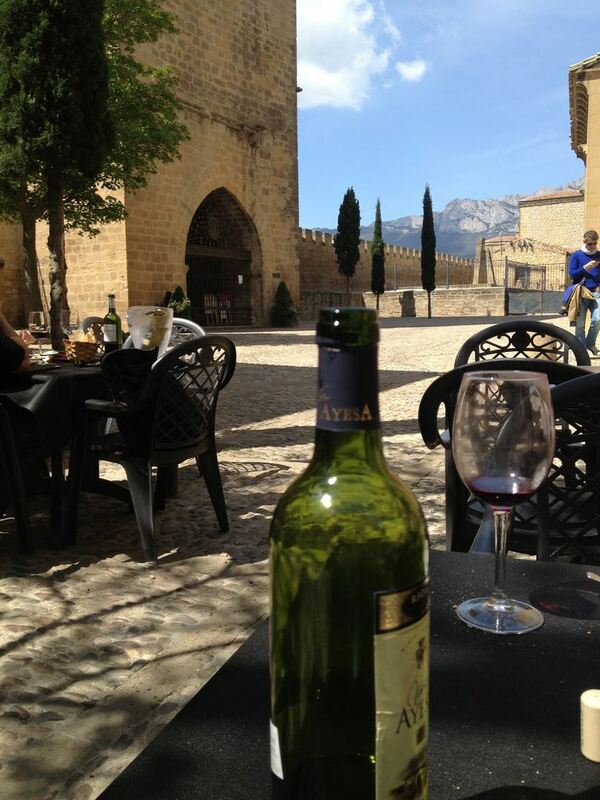 The next day, make a day-trip inland to Morella which is 80 mins away. 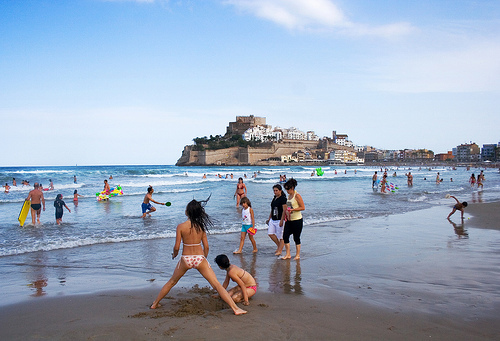 Spend a second might in Peniscola and drive the 2 hours back to Valencia on the third day. (Before you travel, read our guide to Valencia’s famous paella and where to enjoy it here). Charming Chinchon is less than an hour’s drive from Madrid and perfect for a Sunday drive and lazy lunch. If you wish to see more in Castilla La Mancha, drive south for 2 hours to Almagro and Villanueva de los Infantes. 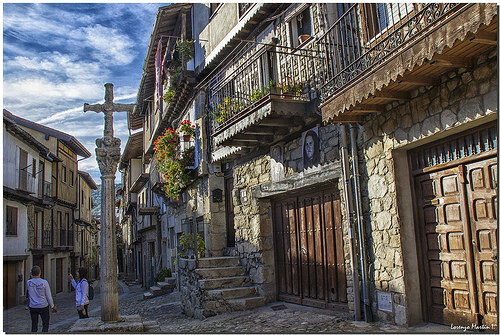 If you’re enjoying being behind the wheel – after an overnight in Almagro, carry on to Extremadura (2 hrs 30) and enjoy the stunning town of Guadelupe and Trujillo which are just one hour apart. Head back to Madrid from Trujillo which is a little over 2 hours drive. 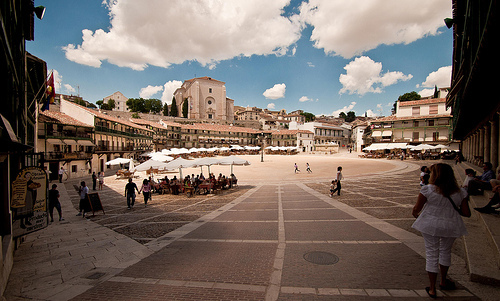 For more, read our guides to Extremadura, to Madrid City and more day trips from Madrid. Fly into Bilbao in the Basque Country (or drive over from Cantabria) and head for the walled town of Laguardia (90 mins from Bilbao). 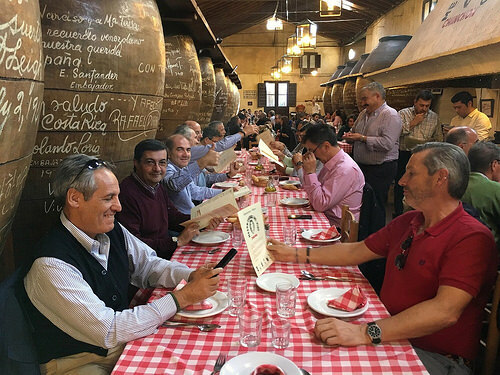 Enjoy the day visiting two nearby wineries such as Marques de Riscal and Ysios – as well as one of the traditional wineries underneath Laguardia such as El Fabulista. The next day drive 25 mins to Briones to experience the wonderful winery museum (part of our post on Wineries with Art). After a wonderful meal in the town, head on 20 mins to Sajazarra. Return to Bilbao (60 mins) or drive over to San Sebastian – just 2 hours from Sajazarra. (For more, read our expert guide to Laguardia and the Rioja Alavesa region, our award-winning guide to the Rioja region, and our guides to the cities of Bilbao and San Sebastian). 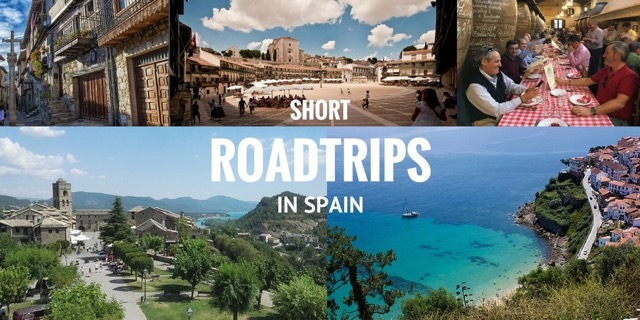 Want more advice and tips before embarking on any of these short roadtrips in Spain? Check out our 50 Tips to Driving in Spain & Portugal, our guide to Driving the Camino de Santiago, and our previous guide with a whopping 12 Roadtrips in Spain. If you don’t drive, check out the benefits of hiring a private driver in Spain, and read up about Travelling by High-Speed Train in Spain. Posted in Andalucia, Aragon, Asturias, Cantabria, Castilla la Mancha, Castilla Leon, Getting Around, Green Spain, La Rioja, Madrid Region, Rioja Alavesa, Useful Information, Valencia.